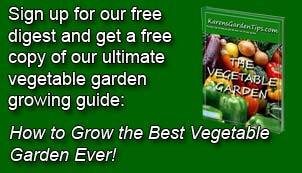 The flowers of zucchini are most commonly used but the blossoms of other summer or winter squash may be used interchangeably. Squash is a warm weather crop and can be very prolific so that harvesting the flowers before they set fruit can be a very good thing. Plus, squash flowers are either male of female and you can harvest the male flowers without hurting the production of fruit. Zucchini flowers are often available at Farmer’s Markets in summer although not in super markets because they are so perishable. Squash blossoms have a delicate sweet taste and can be used in many ways raw or cooked. They most common way to serve squash flowers fried. They can batter fried alone or stuffed either with mild cheese such as mozzarella, goat, or ricotta, or seafood such as crab or shrimp. The flowers can also be baked, broiled, steamed, pickled, or made into fritters. Fritatta, soup, pesto sofrito, risotto, pasta, pizza, tacos, clafoutis, souffles, muffins, and salads are all enhanced by the addition of squash flowers, and a delicious brunch or breakfast egg dish can be made when combined with mozzarella. Hush puppies, quesadillas, and stir fry made with squash flowers are unique dishes bound to please. For a sweet treat fry blossoms and dust with cinnamon and sugar. Cooked flowers can be frozen. 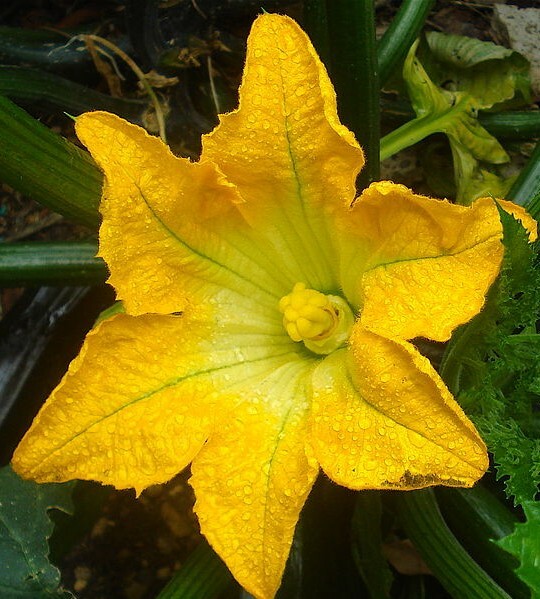 Squash plants produce both male and female flowers on the same plant. Many more male flowers are produced than female flowers and should be the first choice for harvesting. They are produced earlier than female flowers on long stems all over the plant and are hairier. Female flowers are produced towards the center of the plant on shorter stems and have a small bulge where the flower joins the stem. This bulge is the ovary and will form the fruit.. Harvest the flowers early in the morning and carefully washed and air dry then. They can be saved for a few days by being placed on paper towels and put in the refrigerator on a plate or flat container but should be used as soon as possible for the best flavor. When preparing the flowers, remove the pistil or stamens from the flowers unless you want additional crunch.